Check out custom made folding pocket knife having Damascus steel blade and buffalo horn handle. Shop one of the cool & best pocket knives in the world. 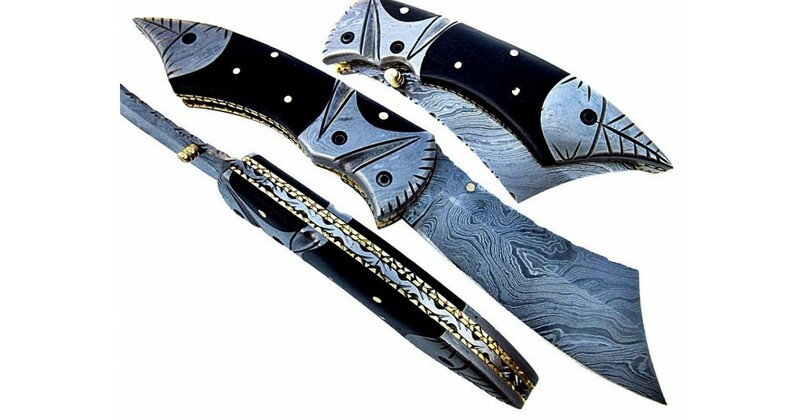 HANDLE MATERIAL:This beautiful, hand forged folding knife Features High Grade Damascus Steel blade a..
SizeOver All: 8.75 InchesBlades Length: 4 Inc..
Open Length : 8.0 inches Blade length: 3.5 inchesStag Handle: 4.5 inches..